Tight Line Concrete Coatings at the Atlanta Home Show! Summer is drawing to a close, which means it’s time again for the annual Fall Atlanta Home Show and Outdoor Living Expo on September 8th -10th, 2017undefined! This year is the 34th edition of the Home Show, and the crew here at Tight Line Concrete Coatings are proud to be a part of it. But we’re not just going to be there for the sake of it—we’re using this show to answer questions from homeowners like you, plus we’re planning to display our new Penntek concrete coating system! If you’re an Atlanta homeowner in need of a top-quality garage flooring solution, you’re in luck. If you visit us at our Home Show booth, not only can you check out our Penntek concrete coatings, which will be on display, but you can also enter our exclusive drawing for $1000 off an installed Tight Line Concrete Coating floor! Our booth will be represented by a member of our experienced staff who will happily answer all your questions on flooring and more. We also offer top-quality Atlanta replacement windows, Atlanta siding, and Atlanta roofing, so we can help you with whatever home improvement project you wish to discuss! If your garage floor is aging, cracking, or simply unfinished, you can get the ultimate flooring solution with Tight Line Concrete Coatings featuring Penntek. We will customize your flooring solution precisely for the needs of your home, so you never have to worry about an ugly or wearing-down floor again. 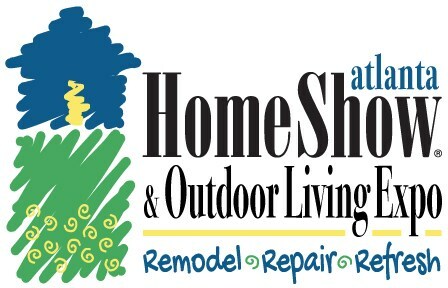 Whether you’re in the market for new flooring or other home improvement solutions, we’re looking forward to answering your questions at the Home Show!